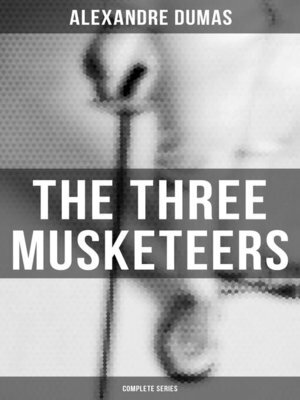 Set in 1625, "The Three Musketeers" recounts the adventures of a young man named d'Artagnan after he leaves home to travel to Paris, to join the Musketeers of the Guard. Although D'Artagnan is not able to join this elite corps immediately, he befriends the three most formidable musketeers of the age: Athos, Porthos and Aramis and gets involved in affairs of the state and court. Dumas frequently works into the plot various injustices, abuses and absurdities of the old regime, giving the story an additional political aspect at a time when the debate in France between republicans and monarchists was still fierce. The novel Twenty Years After follows events in France during the Fronde, during the childhood reign of Louis XIV. The musketeers are valiant and just in their efforts to protect young Louis XIV and the doomed Charles I from their attackers. The Vicomte de Bragelonne, Louise de la Vallière and The Man in the Iron Mask are set between 1660 and 1667 against the background of the transformation of Louis XIV from child monarch to Sun King. Alexandre Dumas, père (1802-1870) was a French writer whose works have been translated into nearly 100 languages and he is one of the most widely read French authors. His most famous works are The Count of Monte Cristo and The Three Musketeers.